I can remember vividly when the first Atari 2600 came to my house. We played Tank and Space Invaders until we saw them in our sleep. And we pondered endlessly why PacMan looked so terrible and went "bonk bonk". 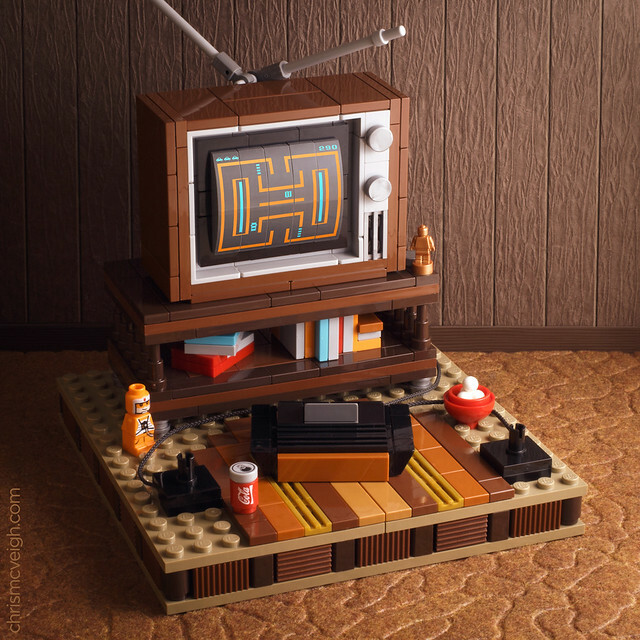 This MOC by Chris McVeigh is not only a marvel of clever building, it's a bona fide time machine, capable of serious doses of nostalgia. And the best news is you can have one for yourself on March 9th from his website! Did You Get That Memo?